Full-scale community management and promoted post amplification in Chinese social media platforms like Weibo, WeChat, Facebook and more. Did you know that Chinese speakers are the world’s most active social media participants? There’s no doubt that with the right selection of platforms, a stellar social media campaign will boost brand awareness and sales. 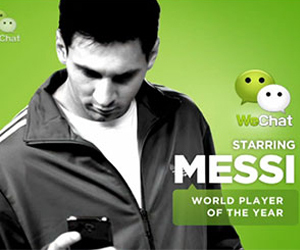 Chinese social media is an explosive space, with constantly-changing local players. The Chinese-speaking demographic in China as well as all over the world are on social media platforms that are native to China — these platforms include Youku, Weibo, and WeChat. In North America, those networks are enormously popular among Chinese-speakers, but so are Facebook and YouTube. Understanding: It’s vital to understand the complex social landscape before engaging with Chinese customers on social media. Our team will craft your campaigns with engaging content tailored to region, dialect, age, gender — you name it. Strategizing: We will help develop a strategic plan to build and engage a targeted social audience for your brand. Adaptation: As avid Chinese social media users ourselves, our team has a finger on the pulse of rapidly-changing social trends. You’ll never miss out on new platform or functionality options. Advertising: We’re not only the experts in creating great content, but also in advertising on social. This includes WeChat advertising, Weibo advertising, remarketing, and in-depth analytics to ensure you’re getting the best ROI.